It was never Auckland’s top-ranking recording studio, its equipment was almost always dated and throughout most of its quarter-century lifespan its sparse surroundings were chilly in winter and sweltering in summer. But Mascot Recording Studios is fondly remembered by most musicians who passed through its doors. The beginnings of the Mascot Recording Studio can be traced to Bruce Barton’s Auckland Wireless Services, housed at the Pacific Building on the corner of Auckland’s Queen and Wellesley Streets. The site had already played a large role in the development of New Zealand’s recording history – brothers Eldred and Phil Stebbing built their first studio on the premises in 1950, selling it to former Tanza employees Fred Green and Tony Hall in 1953; it was here where Johnny Devlin made most of his early recordings for Prestige Records. Radio engineer and recording enthusiast Bruce Barton began leasing the studio from Green and Hall in 1959, recording Vince Callaher, Ricky May, Kahu Pineaha, Clyde Scott, The Sheratons and Terry Dean and The Nitebeats, later rebranding the operation as Mascot Recording Studio and in 1962 launching his own Mascot record label, distributed by Viking Records. 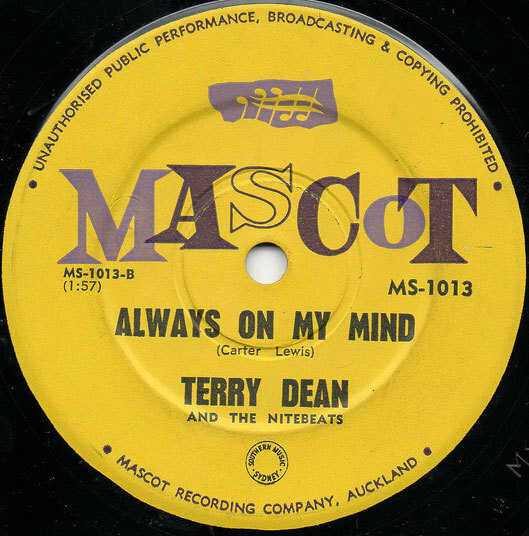 Among the early acts released on Mascot were folk trio The Convairs, Terry Dean and the Nitebeats, the Fenders (from Hamilton), New Plymouth duo The Lambert Twins, and female pop singers The Kittens. The Mascot equipment was patchy at best – in 1960, following a fire at Radio 1ZA’s studio, Barton purchased the fire-damaged equipment and although not ideally suited to the recording process, this equipment served Mascot throughout the decade. In 1963 Mascot had a brief spell at the Dilworth Building at the bottom of Queen Street before Barton accepted an offer from Viking Records’ Ron Dalton to install the equipment at the Viking Studio on Newton Road. In May 1964, Billboard magazine reported that Viking Records had “absorbed the Mascot Recording firm,” retaining Barton as technical chief. Over the next two years the Viking Studio produced some of the era’s most enduring recordings, mostly produced by Dalton and engineered by Barton. Max Merritt and The Meteors was the house band and recorded artists included the Meteors, Tommy Adderley, Bill & Boyd, Dinah Lee and Peter Posa. When the Meteors crossed the Tasman at the end of 1964, Jimmie Sloggett was retained as musical director, producing The Keil Isles, Ray Columbus and others. When Viking closed the studio in 1966 Barton moved his equipment to the nearby Eden Terrace premises. 34 Charlotte Street, leased and later purchased by Barton, served as Mascot Recording Studio through to its closure in 1991. The building also housed a sister company, Barton Sound Systems; although ownership has changed twice since, the company name still survives. Despite its sub-standard equipment, Mascot proved to be a popular studio. Ray Columbus, Allison Durbin, Sandy Edmonds and The Chicks recorded there; the esteemed Jimmie Sloggett was on call as musical arranger and saxophonist, and backing musicians might include Bob Paris and Billy Kristian. “I was in the studio so much I kept my kit there permanently,” drummer Bruce King remembers. In 1970 the NZBC launched a new weekly pop music television show, Happen Inn. 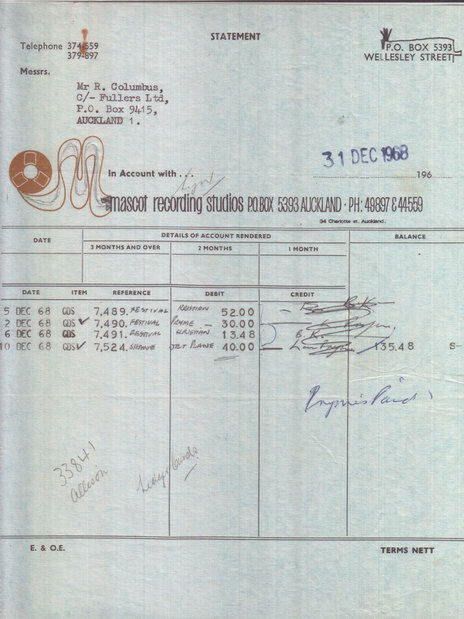 In a bid to curtail costs, it was decided that the pre-recorded tracks should be produced outside the NZBC’s limited Auckland facilities. Mascot got the contract and throughout the early-mid 1970s the studio survived with its television work. 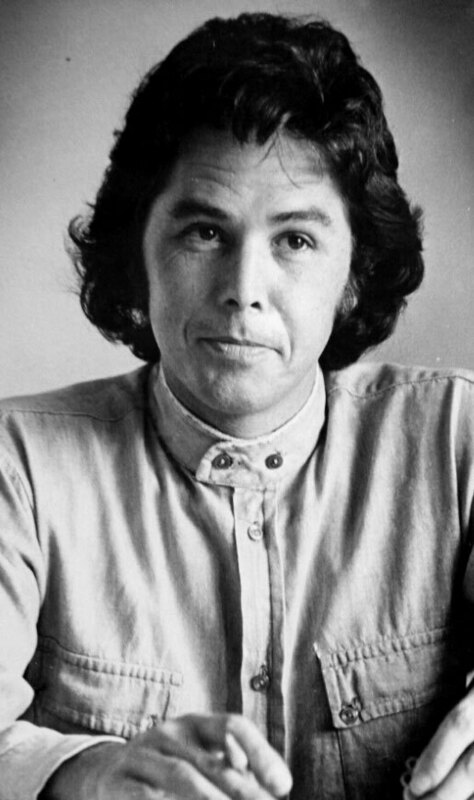 One of Mascot’s greatest successes was John Hanlon, famously discovered by Barton after he saw the young singer-songwriter singing at a private party in 1971. Hanlon went on to an illustrious career, becoming a household name. At the end of 1976, in further attempts at budget control, the newly-branded Television New Zealand pulled the plug on outside contracts. Mascot, having already turned its back on jingles, now had no television assignments and its 8-track studio couldn’t compete with Stebbing’s 16-track facilities across town. 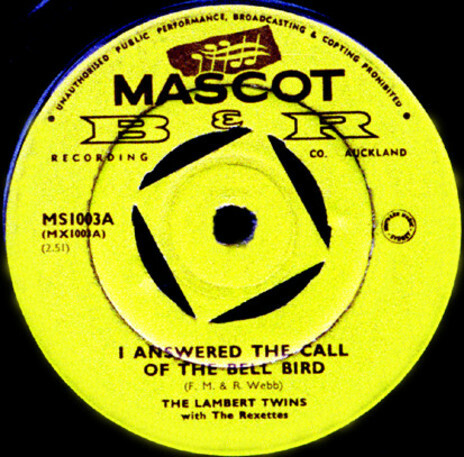 There were commercial recordings (notably, Living Force’s self-titled album on Atlantic, and Larry Morris’ Reputation Don’t Matter Anymore, on Parlophone) but Mascot was mostly used by bands as a demo studio. 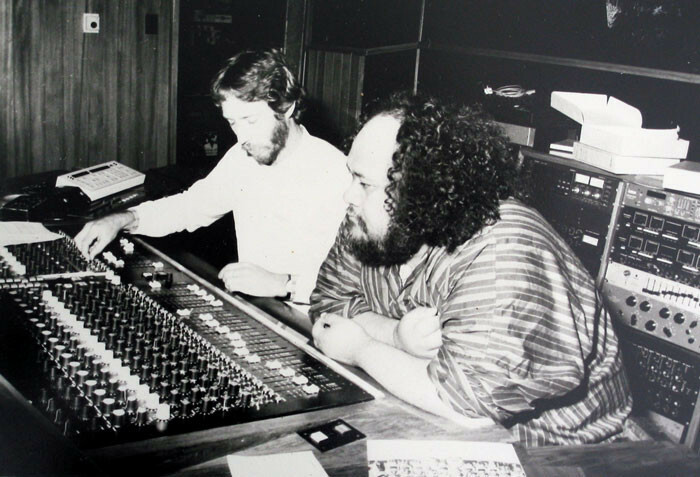 In 1978, during a recording session, Larry Morris and Hugh Lynn were told by Muriel Barton that the studio might be available for purchase. A deal was done, payments to be drip-fed, and final ownership was still to be determined when Lynn and Morris acrimoniously ended their friendship and business arrangement. Hugh Lynn was to, if not exactly steer the ship, dictate Mascot policy in the coming years. While all of the above had been going down, this growth of an industry, Hugh Lynn had been playing his own part, and in his own way. He’d had an involvement with entertainment for his entire life: the son of a renowned dance teacher, Da Katipa, and a dancer of note himself, he had given rock’n’roll demonstrations at the Auckland Town Hall, appeared on C’mon, introduced the bands at The Top 20, briefly managed Max Merritt & The Meteors and The La De Da’s, and owned and co-owned Auckland nightclubs. Since 1975 he had been British promoter Paul Dainty’s New Zealand agent, following failed tenures by Phil Warren and Stewart Macpherson. There were other business interests, other associations – health studios, T-shirt stores, the country’s largest security company, Eden Security. He drove flash fast cars and rode big bikes, hung out with the Hells Angels and studied martial arts. Whatever the reputation and perception of Hugh Lynn, he was about to go through some radical lifestyle changes. The Larry Morris-Hugh Lynn partnership ended badly but for a while, in lieu of any ad agency jobs, Mascot served as a base for Shotgun, Morris’ all-star band. A single, ‘Taste of the Devil’, came out of it but little else before the split in February 1980. Lynn had inherited Doug Jane, whose Mascot connection went back two years, and it was Jane who adapted and modified the existing equipment and installed the 16-track equipment. No sooner had the upgrade been completed than Stebbings announced the arrival of their 24-track equipment. By 1981 the competition in Auckland for those advertising agency assignments had stiffened – Harlequin and Mandrill Studios were also in the mix – and Mascot didn’t get a look in. It did, however, become the studio of choice for many of the new wave bands – during a return visit to New Zealand, Dave Russell produced demos of The Scavengers and Toy Love; The Swingers’ first recordings were made at Mascot; The Spelling Mistakes’ ‘Feel So Good’ (produced by Fane Flaws) was a Top 40 hit and helped launch Propeller Records; Penknife Glides’ ‘Laugh or Cry’ / ‘Taking The Weight Off’ (produced by Alastair Riddell) was the first release on Lynn’s fledgling label, Warrior Records. But Mascot Studios largely served as a base for Herbs. Herbs had come to Lynn’s attention through their manager, Will ‘Ilolahia, a founder-member of the Polynesian Panthers, who did much to politicise Hugh Lynn. Herbs themselves, who Lynn was soon managing, did the rest. By his admission, Hugh Lynn became a “born again Māori” and this change was to have a profound effect on Māori acts throughout the 1980s, Mascot recording Billy T James, Diatribe, Prince Tui Teka, the Patea Māori Club (the ground-breaking ‘Poi E’) and, above all, Herbs. In 1983 Billy Karaitiana returned to New Zealand after 10 years overseas. In London he had gained some studio experience, producing demos by Larry Morris, amongst others. Although they’d been acquainted since the 1960s, it was mutual friend Tommy Ferguson who suggested that Karaitiana take the helm at Mascot, to replace departing studio manager Bob Jackson. Karaitiana was studio manager for five years, producing two Herbs albums, Long Ago and Sensitive To A Smile. He left to start his own home studio, Muscle Music, in 1987. Looking back, Kristian says, “Although I would occasionally work with other bands – like Daggy & The Dickheads, the Lounge Lizards was another, Rotorua band – I looked at Mascot as Herbs’ studio. We were in there almost every day. Herbs needed someone to bring them together, they needed organising. They were big guys, not easy to handle, but gentle guys, all of them. We had a good relationship between us. 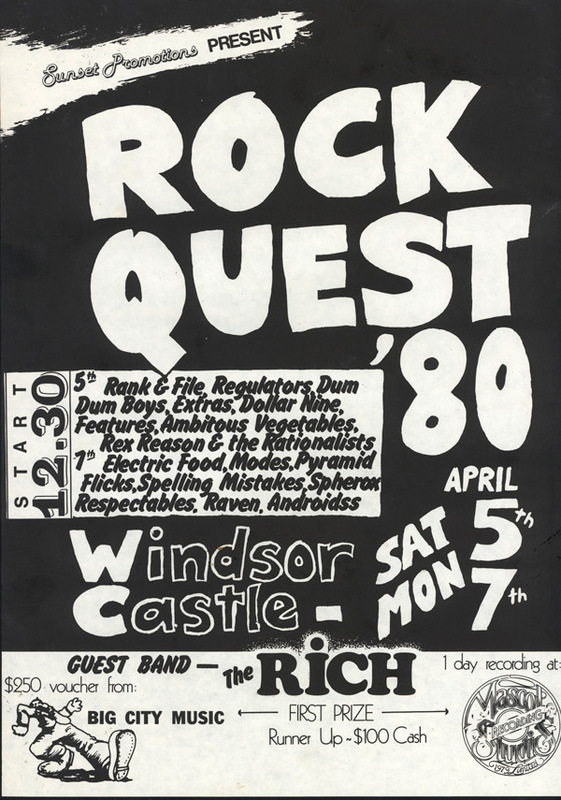 Herbs may have taken up most of Karaitiana’s time as studio manager/producer but the engineers who passed through Mascot in the 1980s – Gerard Carr, Steve Crane, Doug Jane, Victor Gbric, Phil Yule – worked with a myriad of acts – from Penknife Glides to The Verlaines. 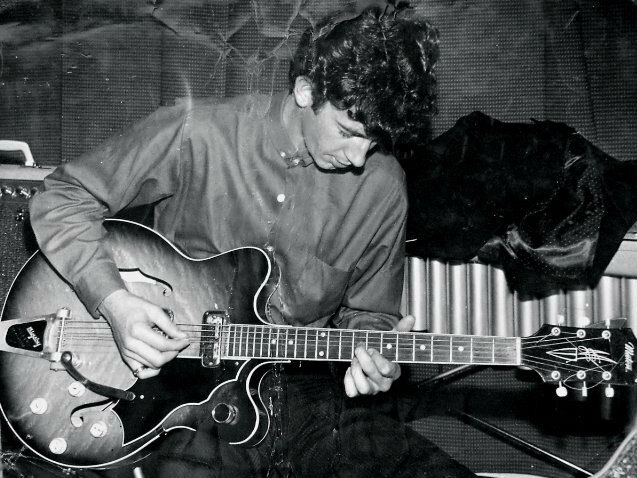 Phil Yule remembers Macot being very popular with “the stage two Flying Nun bands, who’d come out of the bedroom, leaving the 4-track behind to brave it in the 16-track world.” The Chills, Sneaky Feelings, Tall Dwarfs and The Verlaines all recorded at Mascot. 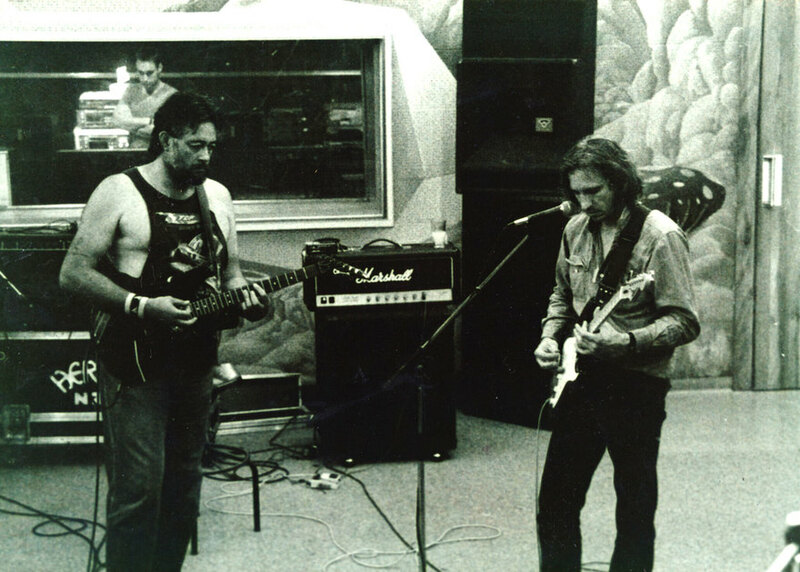 In 1989 a regular presence at the studio was Joe Walsh, the Eagle himself. Walsh had met Lynn and Herbs at a Greenpeace concert and, at WEA Records head Tim Murdoch’s behest, Walsh spent six months in New Zealand, touring with Herbs and producing their third full-length album, Homegrown. The Joe Walsh/Herbs tour and the ensuing Homegrown album were both financial failures and there were further setbacks, resulting in bankruptcy and the closure of Mascot Recording Studio.